This is a 15 inch Dell Business laptop that I got right before I went off to college, and I still use it as my primary machine. It does what I need it to do, and does it well. I’ve upgraded or replaced quite a few components of the laptop, but it has yet to make sense to get a new one. I’m on my second screen, keyboard, battery, and optical drive, and the machine has been upped from 1 GB RAM to 4 GB. It has a 1.86 Intel Centrino Duo processor and Intel integrated graphics, so modern games don’t work at all, but for me that’s not a big deal. It’s running Windows XP Professional. Since it is a business machine, it’s pretty bland looking, but it sturdy and well built. The keyboard is great for writing papers, the trackpad is large, and with 4 GB of RAM and XP the machine is very snappy running things day to day. The Acer Aspire One is an 8.9 inch netbook that I bought last September. I got it to take notes in class, and to carry around when I wanted a computer but didn’t feel like lugging around the D520. I actually wrote an article about the Aspire One (and netbooks in general) here. 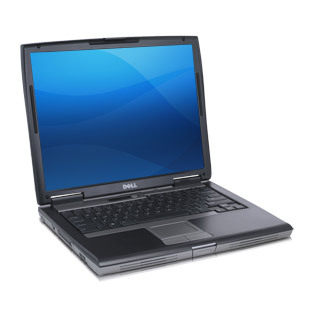 This model is equipped with Windows XP Home, 1 GB of RAM, and a 120 GB hard drive, and has the typical netbook internals with an Intel Atom N270 processor (1.6 GHz) and integrated Intel 945 GSE graphics chipset. The machine is very quick when running light tasks under XP, and I only notice the processor choking when streaming full screen HD flash video or photo editing. For the most part, normal video playback is smooth and looks really good, and the machine is great at consuming content and surfing the web. The machine has a 3 cell battery, and the battery life is disappointing. I usually get less than two hours from the machine, even with the screen at the lowest brightness setting. This is especially annoying, because the netbook’s size and weight really make it a great travel companion – I can put it in a bag or backpack and not even notice it’s there. I have found the Aspire One to be a great device to have, both on the go and especially as a backup for the D520. The dimensions and weight are just about perfect, and the keyboard on the machine is excellent for its size and definitely type-able. I have a small backpack that I take with me, and I throw the Aspire One in just in case because it’s no bother. Plus, it’s fun to show off my tiny computer to people who haven’t seen one before. 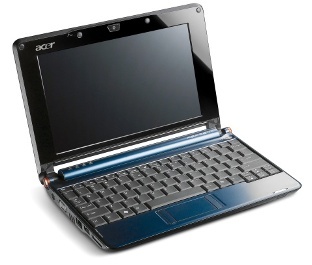 Nonetheless, were I to buy a netbook today (about a bazillion models have come out since I made my purchase back in September, including a 10 inch version of the Aspire One), I would definitely buy one with a six cell battery and a ten inch screen. A bigger screen would make things easier to see without really adding much to the footprint of the computer, and netbooks with 6 cell or larger batteries are known for getting 6+ hours of battery life. I’ve had my original iPhone since July of 2007, and it has served me well. 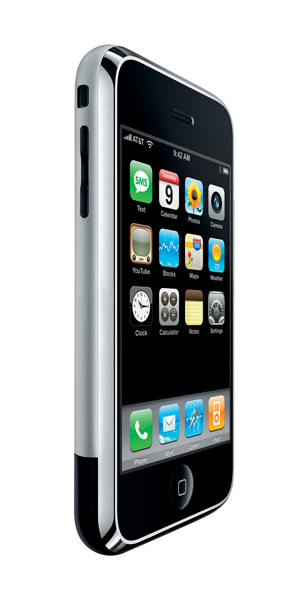 I got the iPhone because no phone could match the iPhone when it came to web browsing, and that’s arguably still true. There is something incredible about being able to search the web wherever I happen to be, and having the ability to look something up whenever my curiosity is piqued. I really like the original iPhone’s aluminum casing (though I understand that the switch to plastic for the new models helps with cell reception), and the iPhone still has the most sensitive touchscreen of any phone out there. As a phone, the iPhone is simply adequate – calls aren’t particularly loud, and reception isn’t particularly good. In fact, in phone call quality testing I did down in L.A., the iPhone was consistently outperformed by much less expensive handsets. However, visual voicemail is far and away superior to traditional voicemail, and makes checking your messages a lot simpler. The iPhone does a lot of things right – iPod integration, threaded SMS, HTML email (though inferior to the email client on Blackberry), Google maps integration, and, of course, the web browsing experience. Plus, the basic features that the iPhone was lacking such as MMS and copy and paste have finally been addressed through software. Now, iPhones seem to have become ubiquitous, and it really does seem to be the dominating force in the mid to upper end phone market. What got it there was the app store. The app store opened up a whole new world of uses for the iPhone, and has really expanded the functionality of the device. My iPhone has almost become the swiss army knife of cell phones, capable of adapting to any task. Look soon for a post detailing my favorite applications and the applications that I use the most. I am eligible to upgrade now, but I’ve held off on buying the iPhone 3G or 3Gs so far. I know that with either of the newer models, I will take a hit on battery life, and neither will have the aluminum body. Plus, to my mind, neither of the newer models is that substantial of an upgrade – with the exception of 3G, GPS, video recording, and a few other things I got all of the upgrades and improvements of the newer models through firmware updates. I’m hesitant to commit and lock myself into another two year contract when Apple, Palm, or someone else might soon come out with a phone that really blows me away.